In fulfilling the dietary choices, the actual consumer is heavily influenced by the link between diet and psychophysical well-being. In other words, the consumer is increasingly aware of the health benefits coming from the consumption of food containing specific ingredients, and this awareness, reflected in the dietary choices, increases with the increasing availability of information regarding such a link. For these reasons, the food industry increasingly spends in research, development and marketing of functional foods and nutraceutical supplements. Thanks to the knowledge gained from many years of academic experience, Science4Life offers consulting for the development of nutraceutical products, both for human and animal consumption: from the research and design, to the finding of raw materials, and the development of innovative or traditional formulations. The development of these products could also be performed considering the valorization and re-use of waste products from agriculture (citrus by-products, olive mill waste water and olive pomace). The production process is accomplished through a specific project shared with the customer or following the required formulation. The preparation phase of such products is strictly controlled according to quality standards ensuring the safety of the entire production process, as well as the quality of final product. The highly qualified staff of Science4Life also proposes consulting services for the valorization of the nutraceutic power of typical foods of the Mediterranean culture. Food allergy and intolerances is a growing phenomenon dependent on many extrinsic factors primarily related to lifestyle and dietary habits. The excessive use of food additives (e.g. colorants, preservatives, flavor enhancers, natural and artificial flavors), as well as the consumption of fruits and vegetables from all the world no longer limited to the natural seasons, represent just some of the examples encouraging the exposure to an increasingly number of potentially allergens. The only remedy to tackle such issue consists in totally excluding certain foods or ingredients of them from the diet. Therefore, it is of extreme importance to correctly label the different foods. updating of food datasheets with limit laws, specifications or recommended values. The need of food chain traceability has mostly emerged in recent years due to events -such as avian flu, mad cow disease, etc.- that have negatively affected all operators of the food industry, arousing a considerable alarm of the public. Food traceability is defined by the EC Regulation 178/2002 as "the ability to trace and follow a food, feed, food-producing animal or substance intended to be, or expected to be incorporated into a food or feed, through all stages of production, processing and distribution" and allows producers to prevent or manage any hazardous situation through the knowledge of the entire production process (flows of raw materials: documentation of origin and destination, etc.). The UNI EN ISO 22005/08 -transposing the Italian UNI 10939:01 on the traceability system in food chains and UNI 11020:02 on the traceability system in food companies- has been proposed as a response to implement a traceability system that is effective, comprehensive, systematic and applied both to the feed industry and the food sector. Science4Life provides consulting to develop or assist in the design of traceability systems for companies or food chains, in accordance with EC Regulation 178/2002 and ISO 22005:08. Shelf-life studies on food aim to properly establish the expiration date or the maximum storage time of a product in certain storage conditions (i.e. room temperature, refrigeration and freezing) and then define the length of its “commercial life”. Characteristics of food products, such as the quality and consistency of the ingredients, the moisture content and the acidity levels, play a key role in determining the useful life, as well as external factors, such as storage, transport and packaging. Our experts offer personalized studies not only on the bacterial composition of food products, but also on their storage and packaging. In fact, this type of study allows to improve also the packaging system of products (modified atmosphere, effectiveness of sanitizing treatments etc. ), so that its expiration date or maximum storage time can be further extend. The highly qualified team of Science4life drafts technical-specialist reports as part of legal prosecutions at the expense of food companies (e.g. 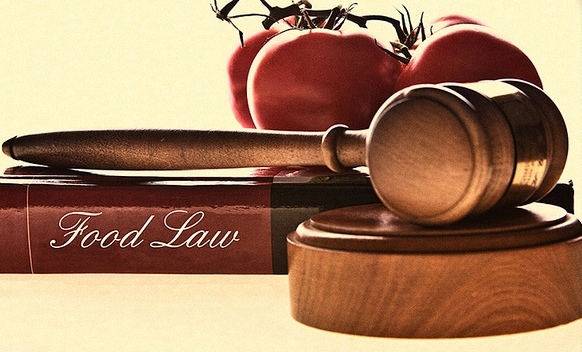 olive oil, wine, dairy, jam and citrus industries, as well as typical Sicilian productions) to provide all the arguments useful for the clarification of responsibilities attributed to the companies, as well as for the demonstration of possible food fraud or counterfeiting activities.